Advertise the subnets into EIGRP AS 1. 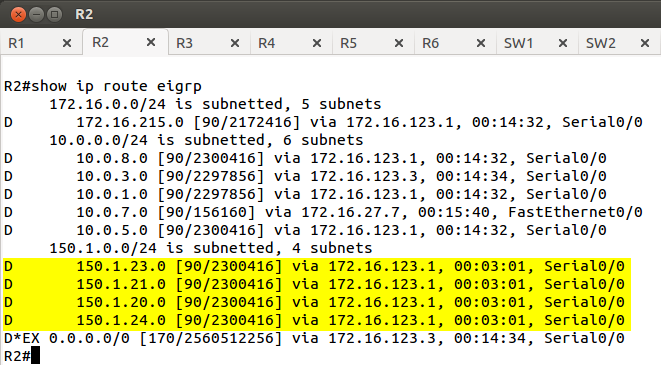 For security reasons configure EIGRP update filtering on R2 so that it accepts the odd subnets configured on R5 in Task 1. 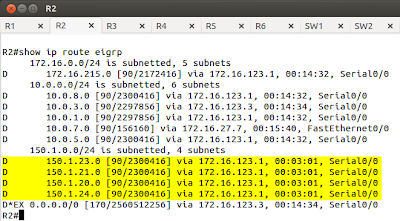 Use standard ACL to match the interesting subnets. Use the fewest lines possible. Pic. 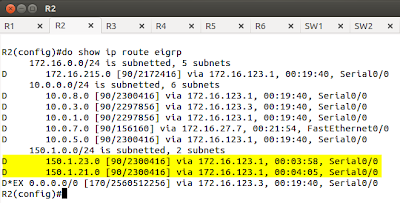 2 - Routing Table on R2 Before Filtering. Pic. 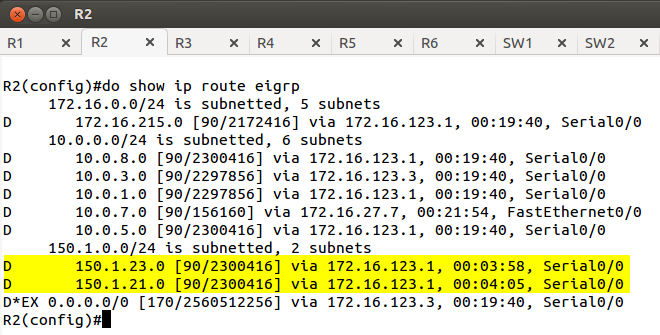 3 - Routing Table on R2 After Filtering. The highlighted bit is the only one that changes. It should be masked using 1 (ignore: value=2). All the remaining bits do not change, so they should be masked with 0 (check). 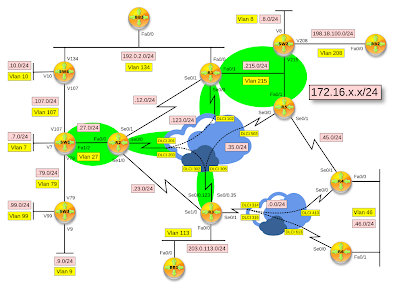 After verification, remove ACL configured in Task 2.